Four Days of Live Music Surrounding Race Weekend! 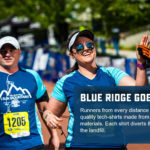 Music and running just seem to go well together, which is why we’ve partnered with the Down by Downtown Music Festival sponsored by Wells Fargo, a four-day festival in downtown Roanoke, with music acts from all over the country. 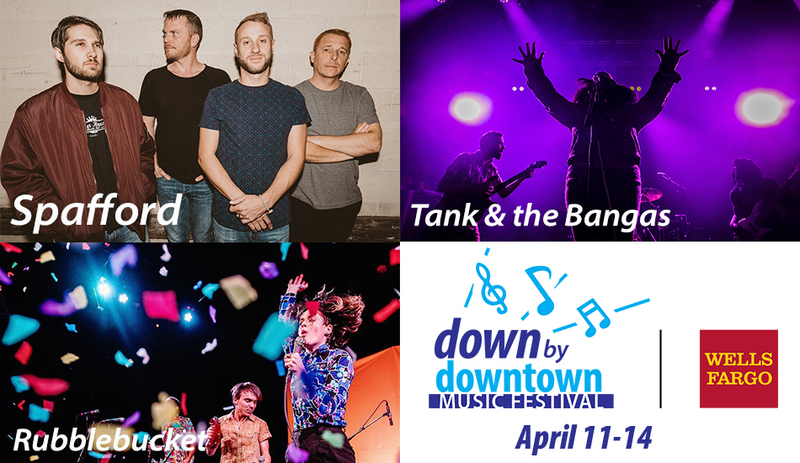 The Down by Downtown Music Festival sponsored by Wells Fargo kicks off Thursday, April 11th, 2019 at twelve venues in downtown Roanoke, continuing with a FREE Runners Welcome Party and concert Friday evening in the Elmwood Park Amphitheater, followed by Saturday’s headliner. So after you’ve crossed the finish line, head back to your hotel room (or home), shower, and then hobble back to Elmwood Park amphitheater for the final concert celebration – music, food, beer, and more. Runners receive discounted tickets to see the band (see below for details). In addition to the live music taking place in a variety of downtown venues there is a free concert in the Elmwood Park Amphitheater starting at 5pm. With the new expo location at the Patrick Henry Hotel you can literally walk right across the street for the free show. This is also where the Pre-Race Vip Pasta Dinner takes place. Gates open at 5:00pm. Directly across the street from the race expo so drop by just for 30 minutes! Food trucks and beer by Ballast Point and Parkway Brewing. 5:30pm: Rubblebucket – Transforms crowds from a skeptical wall of people into one big, happy, silly, jiving, open-hearted mass with American art-pop and indie-rock. They are slated to play Bonnaroo this year shortly after the stop in Roanoke. 8:30pm: Spafford – This band has recently been part of a meteoric rise in the jam scene, selling out shows across the country. They played Bonnaroo last summer and are known for captivating live performances featuring rock, funk, electronic, bluegrass, gospel, and more. 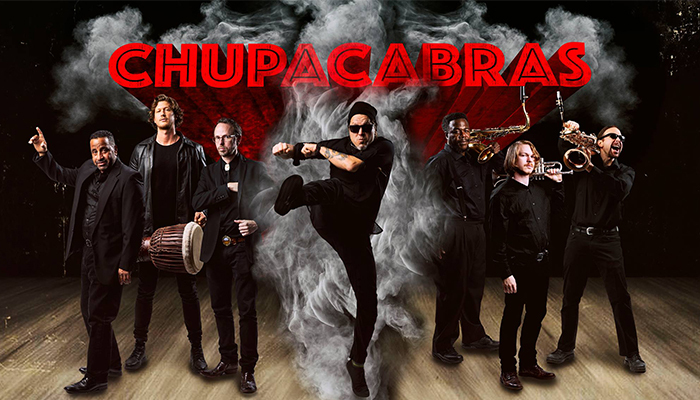 Brian Moss (guitar), Jordan Fairless (bass), Andrew “Red” Johnson (keys), and Cameron Laforest (drums), combine for “electrofunk therapy” with strong vocals, tight harmonies, and catchy tunes. You must be registered for either the double, full marathon, half marathon, team relay, or Star 10K to purchase two tickets @ $22/each. 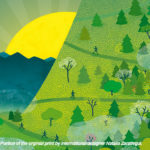 Deadline to pre-purchase your tickets online through Active.com is March 12, 2019. If you haven’t registered yet. Click here to get started with your registration, where you can add concert tickets to your race entry purchase. If you’ve already registered- Log back in to your Active Profile and purchase tickets through the “additional purchases” section. The number of tickets you purchase will be noted on your runner bib. Your runner bib WILL BE YOUR TICKET and you must show it to gain access to concert. Additional tickets will be available for purchase (if the concert hasn’t sold out) at packet pickup and at the concert itself. $25 general admission tickets may be purchased online through April 12th. $32 at the gate. Rain or shine event. No refunds. No chairs. Go to www.downbydowntown.com to purchase additional tickets.